If you like the idea of keeping all your memories in the one place, or you want to showcase your photography to a wider audience, then a hosted photo gallery is a sensible choice. By now you’re most likely aware of commercial offerings such as Flickr and the like, though I’ve found once you’ve got your library into these platforms, it’s very hard to export it elsewhere without a great deal of hassle; then there’s the myriad of changing agreements and legalities too, not something I’d want to be worrying about. 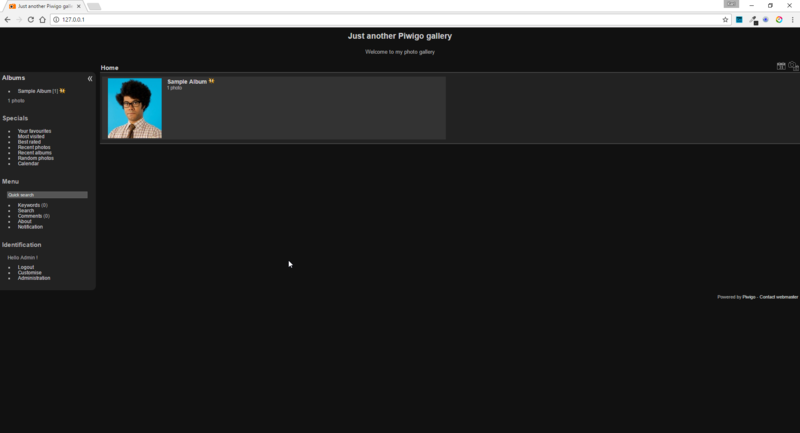 Piwigo is an open source project which allows you to self host your own gallery on a server of your choice. You could throw it up on a $5 a month droplet over at DigitalOcean, or on a crusty old machine in your garage, it’s entirely up to you and your needs. Here I’ll walk you through setting up Piwigo on the latest LTS release of Ubuntu, 16.04 LTS (Xenial). At this point, you should be able to hit your servers IP/hostname in a web browser and be presented with a “congratulations, apache’s installed page” or similar. You’ll be prompted to set a root password for your database, make it super secure and store it in your favourite password manager, do not use this when configuring Piwigo later! Nov 25 18:22:51 ubuntu-xenial systemd: Stopped MySQL Community Server. Nov 25 18:22:52 ubuntu-xenial systemd: Started MySQL Community Server. Nov 25 18:23:46 ubuntu-xenial systemd: Started LSB: Apache2 web server. If you see bad things, Google the errors found in the appropriate log files and apply brain power. 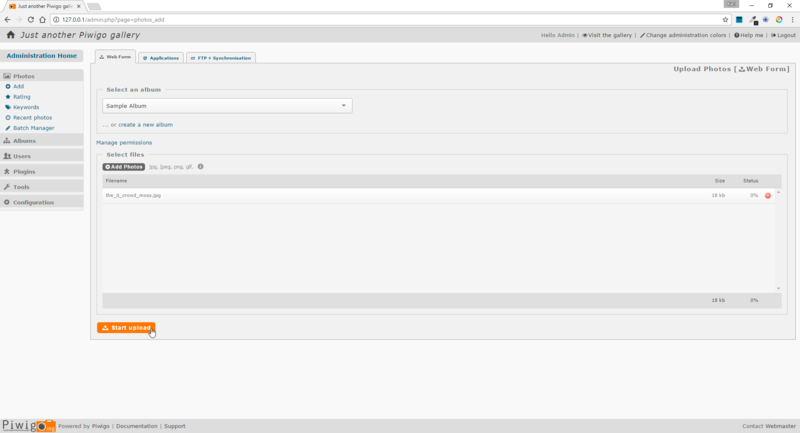 Now visit http://your_servers_ip-or-hostname/info.php in a web browser and you should see a PHP 7.0 info page. 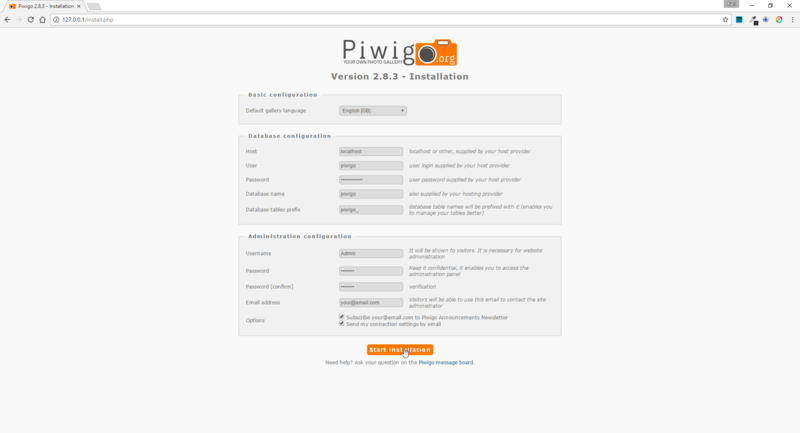 Now, let’s get Piwigo downloaded and setup. 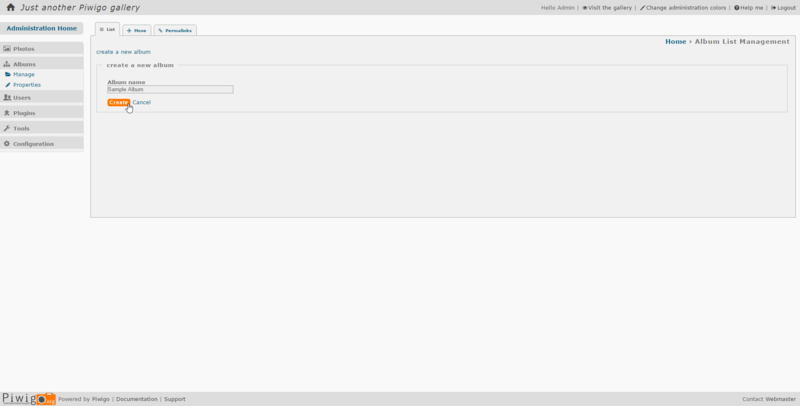 Congrats, you now have a fresh database and credentials to use within the Piwigo installation process. Now, time to get away from the command line! After this point, you should then see an installation successful screen, congratulations! If you run into any issues at all, please feel free to comment below and I’ll help you out as soon as possible!